Complimentary Wine Tasting at Wine Cellar at Starwood from 6 – 8pm. The 4th and final show in the 2013 Music in the Square series features Vic Duncan’s Acoustic Review (originals and covers). This is going to be a great show! Friday at 7:30. Admission is free. 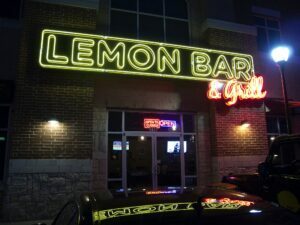 After the show head to the Lemon Bar for Black & White night from 8pm – 9pm. Purchase Tickets: $5 per person; children under 2 are free, but must have a ticket for entry. Avoid the lines and print your tickets from home, then simply bring the E-ticket to the event for entry. Tickets are limited. Any remaining tickets will be sold at the FAC on the evening of the event. Come see Dirk at Dr. Pepper Ballpark (map) slug it out with other celebrity players and cap it off with a Fireworks Show. Tickets are from $8- $17 through Ticketmaster,by calling 800-745-3000 or at the Dr. Pepper Ballpark Box Office. Trash talking and base stealing starts at 6:30pm. Texas Dream Cruise Car Show from 12pm to 5pm at FC Dallas Stadium. The largest annual one day car show and cruise held in the SW comes to Frisco. Enjoy music and family activities. Admission is free. Be sure to stop by the Frisco Farmers Market from 8am to 1pm or until supplies run out. Frisco Freedom Fest – 4:00pm – 10:00pm. It all starts with Party in the Plaza on Simpson Plaza at City Hall. Includes Taste of Frisco, children’s games and local performers. Celebrate Independence Day with FC Dallas starting at 8:00pm at FC Dallas Stadium including one of the largest fireworks shows in North Texas. Use promotional code “FRISCO” to get your tickets for the game and for front row seats to the show. LEMON BAR CLOSED. In it’s place is Dodie’s Live. I had a bias when I first saw Lemon Bar in Frisco. I had spent the last 4 years living in Uptown, and the Lemon Bar (no longer there) in West Village just never agreed with my wife and I [insert age joke here]. One morning my wife and I were looking for a place to grab brunch that we had never been to. It turned out that Lemon Bar serves brunch so on a whim we decided to try it, and I’m so glad we did. Lemon Bar Frisco has a great “out and about in Frisco” vibe. They’re also very involved in supporting the Frisco community and keep an active events calendar. Wednesday: Live Band Karaoke w/Texas holdem (If you win live band Karaoke and Texas Holdem you win a free round trip ticket on southwest anywhere they fly). I’m writing this as I’m sitting at the bar listing to the Wednesday night band, and everyone is having a great time whether they’re rocking with the band or hanging closer to the back chatting with friends. Lemon Bar has a nice open floor plan so it can pack a crowd without giving you the feeling everyone in the place is right on top of you. They also have nice little patio outside and are well equipped for special events, private or corporate. When you’re looking for a place to watch a game you would be hard pressed to find a place in here where you can’t see the action. There are TV’s everywhere, and if you’re not into the game pick from any number of other activities; video games, ping pong, foosball, pool tables or just kick back on one of the couches near the bar and relax with friends. The food is good with a selection of dishes that go beyond the usual burgers; though the burger is excellent, I’m having one right now! As I mentioned, they also do brunch on Saturday and Sunday with $9 carafes of Mimosa or Bellini’s. On weekends kids under 12 get free waffles for brunch and Free ice cream all the time so Lemon Bar is very kid friendly. Insider Tip: Get the seared tuna as a meal. It’s listed as an appetizer but you can get a meal version and it’s fantastic! If you’re looking for a place with life and a good vibe but don’t want to feel overrun, Lemon Bar is a great place to land. It’s also in proximity to Pizza Hut Park, Frisco Square and the Cinemark movie theater making it a great choice for a bite before the game or movie or drinks after. Saturday 6/29 Poker fundraiser supporting “Honor Courage and Commitment” helping veterans start businesses. The tournament is free to participate but the top 3 win a seat at the championships at the Choctaw. Checkin starts at 11:00am. so I hope you’ll come out and support them. 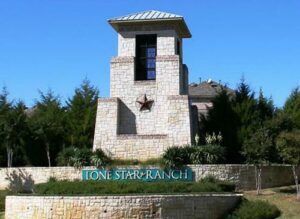 Lone Star Ranch (LSR) is a master planned community of over 1,400 homes among rolling hills with hike and bike trails, streams, lakes, fountains, open spaces, and almost two thousand trees. Lone Star Ranch offers one of the most luxurious Amenity Centers in the Frisco area featuring a three tiered, resort-style swimming pool with waterfalls, slides and kiddie splash pool. Lone Star Ranch is located in southwest Frisco between the Dallas North Tollway and FM 423. To the east of LSR, at the intersection of Lebanon and Legacy, you will find a large concentration of retail space. Vendors include Kroger, Walmart Neighborhood Market, CVS, Starbucks, McDonald’s, Sonic, Bank of America, Chase Bank, Wells Fargo Bank and many smaller businesses such as dentists, nail/hair salons, massage therapists, dry cleaning services and pizza parlors. To the west of LSR, at the intersection of Lebanon and FM 423, there are construction projects underway that will be anchored by Tom Thumb and HEB Food Stores. Tom Thumb is scheduled to open in September 2013 while HEB is targeted for 2014. While LSR was established in 2004, the Austin Ridge and Highland Ridge villages are still being built out with many lots currently available. Prices start in the mid 200’s and go up. There are also homes for sale in the existing villages. The amenities at Lone Star Ranch truly set it apart! While the multi-tiered pool is a huge draw to homeowners, the LSR community also enjoys a fully equipped fitness center that is diligently maintained with all equipment serviced on a regular basis. You won’t find 10 year old treadmills at this location – nothing but state-of-the-art exercise machines are available. In addition, the LSR Club House is a grand facility that can be rented by the hour for a nominal fee by all homeowners. It is decorated in true Texas style, has a full kitchen and a massive Austin-stone fireplace that soars to the ceiling of the facility. Finally, the common grounds of the community are spectacular. Hike and bike trails meander throughout the community and are complimented by several lakes, creeks and play grounds. You won’t find quality landscapes like this just anywhere in Frisco. These common areas are meticulously kept and make for an incredible environment to live and play. Strangely, the Lone Star Ranch community is bisected by Lebanon Road. The villages of Lakeside, Austin Ridge and Highland Ridge are due south of Lebanon which makes for getting to the Amenities of the community a small challenge. That being said, those three villages have a greenbelt that runs across their locations so the trade-off is worth it. Earlier this week I had a chance to chat with pop and Broadway star Debbie Gibson about the songs she wrote for Cirque Musica and her protoge’ Ali Isabella, who will be performing both of the songs Debbie wrote for the show. If you haven’t already, get your tickets for the show. There are two performances; one at 3pm and another at 7:30pm at Dr. Pepper Arena in Frisco. Graduated with honors from Calhoun High School in Merrick, New York. Was the youngest person to write, produce, and perform a number one hit, “Foolish Beat”. She was 17. An honor she still holds to this day. Won the “ASCAP Songwriter of the Year Award” in 1989, an award she shared with Bruce Springsteen. We’re kicking things off a day early with a complimentary wine tasting at the Wine Cellar at Starwood from 6 – 8pm. We have a write up coming on them soon but in the mean time stop in tonight, try some new wine and pick up a bottle or two! The music keeps rocking this weekend in Frisco with Mix Tape (Texas Rock. Check ‘em out on Facebook) for the third weekend in the Frisco 2013 Music in the Square series. Friday at 7:30. Admission is free. There’s lots of home baseball again this weekend (Thurs – Sun) as the Frisco Rough Riders have three home games this weekend vs the Corpus Christi Hooks. Cirque Musica is doing two shows on Saturday at 3pm and 7:30 pm at Dr. Pepper arena. If you do nothing else this weekend don’t miss this show, it’s family friendly and will be spectacular! Get tickets on Ticketmaster or call 800-745-3000. Everyone knows the most beautiful women live in Texas, and their hair is most definitely the icing on the cake. 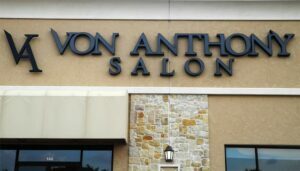 To pamper and tend the tresses, one of the most luxurious and state-of-the-art hair salons north of the George Bush Tollway is the Von Anthony Salon in Frisco. Named after their son, Von Anthony, husband and wife owners, Kerry and Amy Hovland, have developed a diva’s oasis to achieve dream hair. 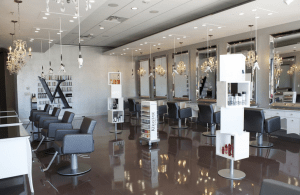 Kerry wanted to design and build a “destination” salon that was different from others in North Dallas and which met a higher standard of customer service. Amy is a master stylist with over twenty years experience which inclues training with industry leaders like Vidal Sassoon, Paul Mitchell, Wella, Matrix, Redken, Mizani, and American Crew. While the award-winning stylista continually educates her team to ensure you’re at the top of your head game, she marries her love of the latest coiffures with futuristic, glamtastic equipment such as the Freestyle Solano hair dryers that suspend over each stylist’s chair. Their team of highly trained stylists and colorists share a passion for hairdressing and a commitment to superior style. Before any technical approach to haircutting and coloring, it is important to take into account every aspect of a person’s face, hair, lifestyle and personality. Beautiful and versatile hair doesn’t need to be complicated.